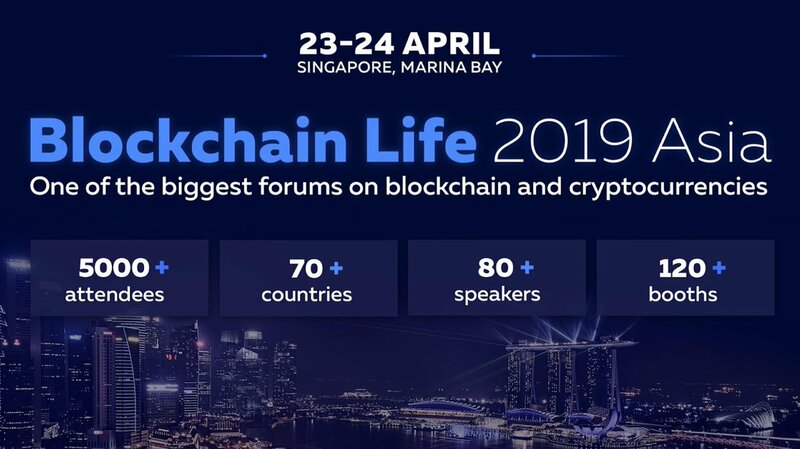 Everyone is invited to participate and have a chance to win tickets to the Blockchain Life conference held Marina Bay, Singapore on 23-24 April. Our Co-founder Martin will represent the Bitcoin Gold project & community giving a speech to industry top speakers, funds and investors. Winners will have the chance to meet Martin in person. So what is this conference all about? The global forum 2019 highlights four significant topics: Blockchain, Cryptocurrency, StartUps and Mining. More than 3000 people including industry top speakers, funds and investors, blockchain startups and world companies, crypto traders, developers and miners - all are going to join Blockchain Life 2019 to discuss the latest trends and ways of earning money in the crypto market. How does the video contest work? Participants will make and publish in youtube a short video about what they like the most about the Bitcoin Gold project. The videos links will be shared by replying this post. The Community will vote on the finalists to decide the winners. 10 Tickets to Blockchain Life conference in Singapore. There will be 5 winners which will collect 2 entrance tickets each. Videos Length: from 3 to 5 minutes. Format: all formats are accepted. Type: Educational, Tutorials, opinions, promotional. the theme of the video: It has to be related to the BTG project. cannot contain offensive or hateful speech. cannot focus on price speculation. BTG Team/Staff are not eligible. We’ll give Twitter 5 days to help us decide the winning order, and then announce the winners and pay out the prizes. Go ahead and put your best work forward!